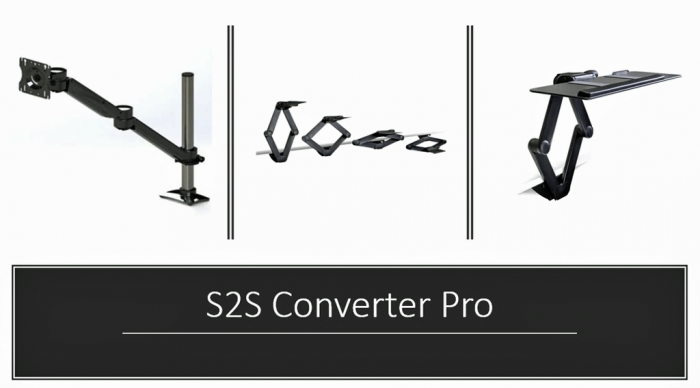 The NEW & IMPROVED Sit Stand Desk Converter Pro by S2S Standing Desk is the perfect desk riser solution for anyone who wants to convert their current desk into the ideal sit to stand desk. 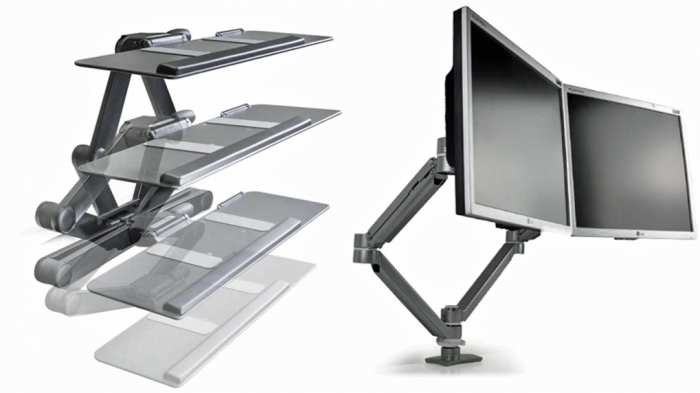 The issue with current Desk on Desk or Desk Riser solutions is that the unit will take up all your surface space. Some systems are quite heavy and difficult to adjust and at times your cables can get caught and damaged when changing positions. An even greater obstacle; which is never stated by other providers, with a desk on desk is that surface does not go lower than the desktop. It can even add to the height of the desk. Most contract furniture desks are 29" and can only fit users who are from 5'11" or taller. So what about most users who are much shorter? They are reaching up even higher to use the keyboard & mouse, and causing even greater strain on their bodies. Other concerns with popular desk on arm solutions is that keyboard platform will shake uncontrollably when typing. This is annoying and reduce typing speeds. This revolutionary conversion unit offers the most stable dual arm Keyboard mechanism assuring that there is virtually no shake of any kind when typing. 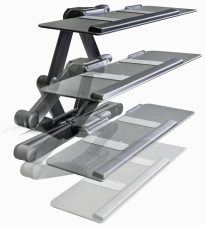 Our keyboard tray system offers 22” of height adjustment. 16” above the track and 6” below. 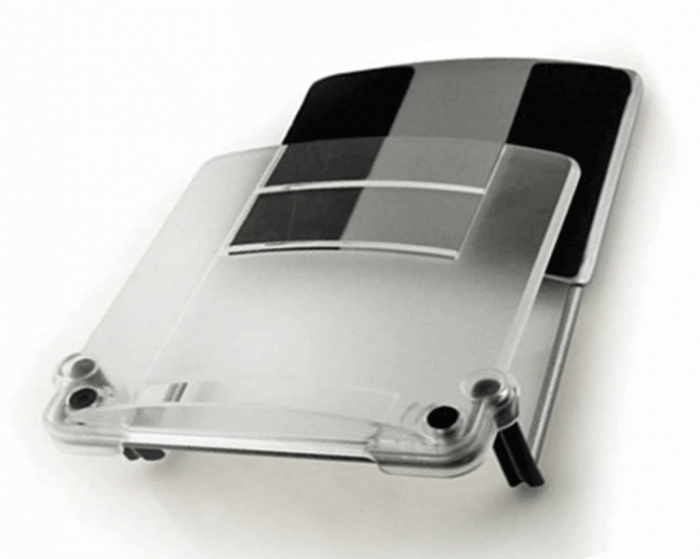 The Keyboard tray offers a 15 degree tilt as well. 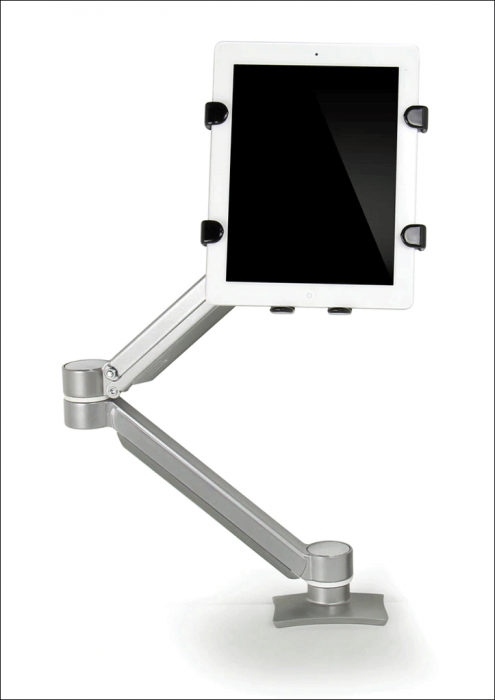 Our modular monitor arm solution begins with 16” post to meet the most everyone’s height your height requirement. The 16” post offers the max of 32” of above desk height adjustment at the center of the VESA mount (for both 75 mm x 75mm and 100 mm x 100mm). If your desk work surface is 29” off the floor the center of your monitor will be 61” off the floor. Which should be ideal for anyone up to 6’5” tall. 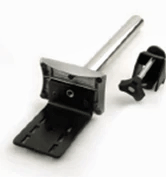 A height adjustability range of 22" with 16" above the track and 6" below, which makes it the greatest range in the market for a keyboard arm, provides ﬂexibility for the end user and allows for sit to stand capabilities. 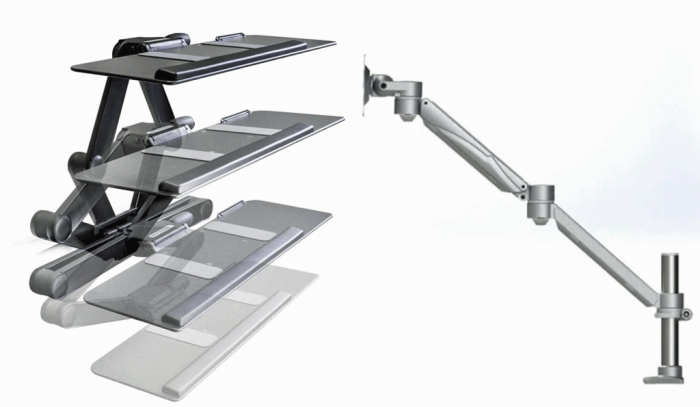 Visually appealing monitor arm folds into a 4-3/8” area for more desk space in smaller work environments. TAA Compliant Meets GSA bid requirement.